This well established successful and profitable business is offered for sale as a going concern to include the goodwill of its boat and chandlery sales together with considerable income from the marina's extensive linear moorings and leasehold interest in the canalside property for £150,000, plus day boat, boats in hand for sale, chandlery stock, tractor, plant & equipment. For further information email rcs@robertsonsurveyors.co.uk or call Ian Robertson on 07850 168939. A unique opportunity to acquire a successful and profitable business providing management, turnaround and other services for their own canal hire and day boats and third party hire fleet and timeshare boats, operating from a marina and premises in a delightful market town voted one in the Top 10 to Live in The Midlands. Centrally located within the Midlands waterway network off the Grand Union Canal, it is well placed for offering day trips and holiday hire cruising. Included in the sale is a traditional 8 berth narrowboat for weekly hire and 4 day boats. The premises include marina moorings, modern reception/office, stores, pump out, fuel and parking facilities. Note, there is further scope to extend and further develop this well managed business. For full information, please email rcs@robertsonsurveyors.co.uk or call Ian Robertson on 07850 168939. Astonfields is a very popular trading estate to the northern confines of the County Town of Stafford with ready access to the A34 and Junction 14 M6 Motorway. 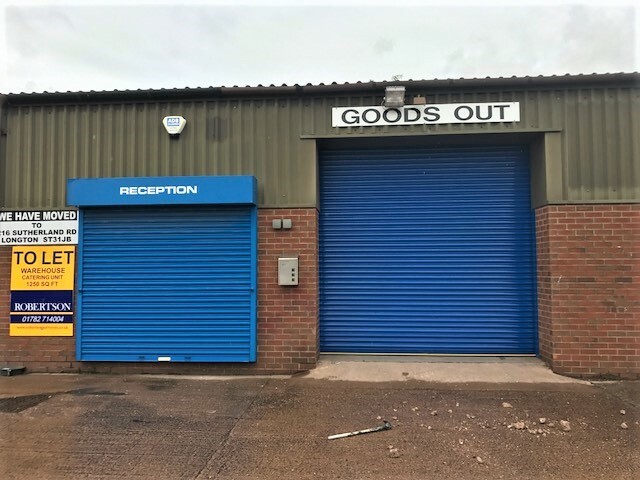 Unit 9 (similar to featured photo) offers 1,200 sft (111.48 sm) of practical space suitable for a range of businesses and uses having a manual roller shutter loading door, forecourt, three phase electricity supply and welfare facility. Available by way of a tenant's full repairing lease at a rent of £7,500 pax. A well presented office suite which occupy a highly visible location fronting King Street, just half a mile from Newcastle Town Centre which provides a comprehensive range of facilities. King Street also proves a direct link between Newcastle to Stoke City's Festival Park, Hanley and its cultural quarter and to the A500 which give accessibility throughout the Potteries and to J15 and J16 of the M6 motorway. These well presented characterful end terrace offices provides ground floor accommodation with open plan and separate rooms which have the benefit of gas central heating, double glazing, lighting and fitted carpets. There is a staff kitchen and ladies and gent welfare facilities. The offices have disability access from the dedicated on site car park, providing space for up to five cars and adjacent pay and display car park. The building is alarmed and has CCTV. There is a cellar/basement for storage. 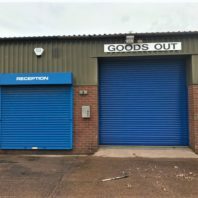 On a popular business between Fenton and Hanley, in the City of Stoke on Trent, this property has excellent lines of communications via the A50, A500 and to J15 and J16 of the M6 Motorway. This opportunity offers a modern light industrial warehouse unit of steel portal frame construction with brick/lower walls and insulated steel cladding to upper elevations and pitched roof which incorporates natural lighting panels. The unit has an eaves height of 3.80m, gas combination boiler, welfare facilty, roller shutter door and security shutter over personnel entrance, flourescent lighting and forecourts for loading and parking. Situated in a prominent highly visible location fronting Commerce Street and facing Longton Exchange Shopping Centre, Longton, Stoke-on-Trent, these premises offer opportunities in a high profile modern retail unit with the ground floor retail space occupied by Wilkinson and Home Bargains. The first floor is open, clear floor plan to an L shaped layout with 6m apex height and lends itself for a wide range of uses, subject to planning consent, including cinema, gym. night clau and other leisure uses. There is extensive public car parking for 400 cars in the immediate vicinity. Prominent roadside land adjacent to Aldi Supermarket on Liverpool Road, the main A50 trunk road from the City of Stoke-on-Trent through to Cheshire. This excellent parcel of land extend to approximately 0.60 acres with road frontage to Liverpool Road. Full planning for residential development has been approved for 8 two storey dwelling houses set within a cul-de-sac layout. The planning consent has approved a scheme for 4 no. Link Detached of which there is one 4 Bedroom and 3 with three bedrooms. Each house is planned with a garage, front and rear gardens. Expressions of interest are invited from developers and builders who would be interested in securing this excellent opportunity. Please click on the Robertson logo to download your guide to renting business premises.